In a small bowl, combine the melted butter, cinnamon and honey. 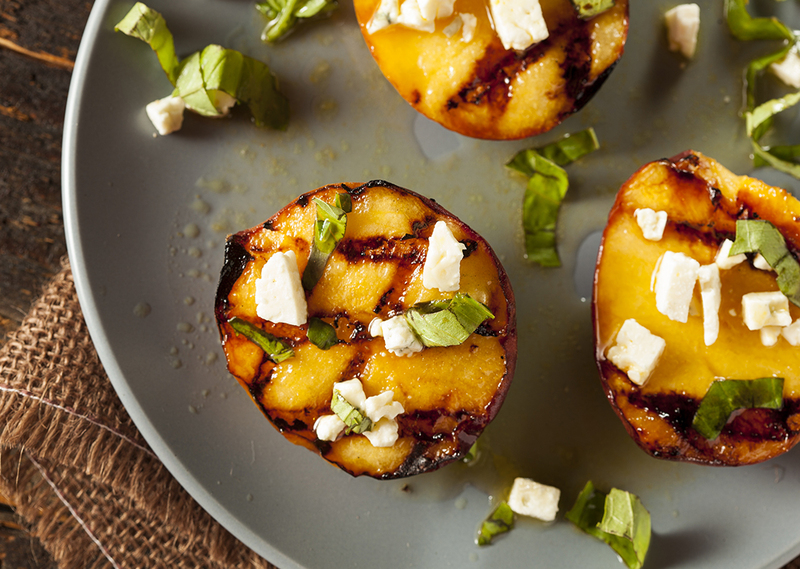 Brush each peach half with the melted butter mixture and place on the preheated grill. Place the lid on the grill, and grill for 6-8 minutes. Meanwhile, in a medium bowl, mix together the honey ricotta ingredients. Serve the peaches warm with 1 ½ tablespoons of the honey ricotta mixture, and ice cream, if desired.